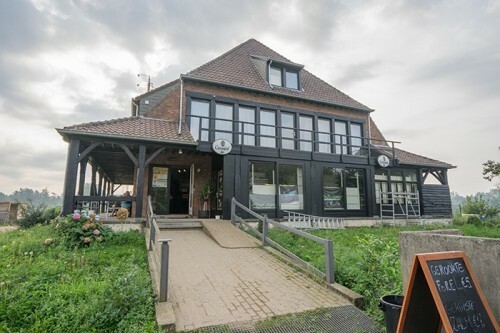 Intro by The Carp Specialist: "The Belgium estate De Karperhoeve in Oosterlo has a rich history... where once was a 'haunted' swamp, you can now find a beautiful estate for the carp angler. In the middle of the 20th century, the swamp was dug to create several lakes. At one of these lakes, a house including restaurant was built on poles, a great place to overlook the estate. 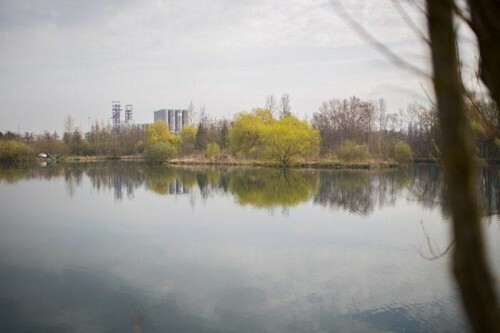 After decades of private use and exploitation of the restaurant, the property got a more extravagant use over the last 10 years, and the lakes were left a bit abundant. 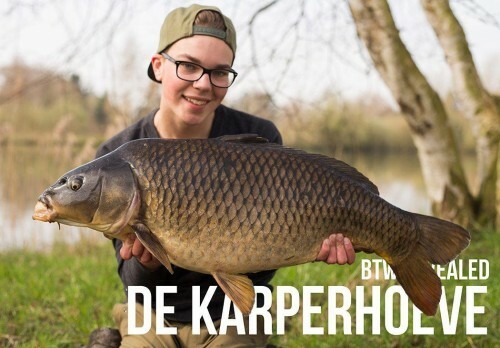 After an intensive preparation and cooperation with the new owners, The Carp Specialist is proud to present you 'De Karperhoeve'! A few years ago you De Karperhoeve started to make from this swamp a real carp fishing holiday venue! 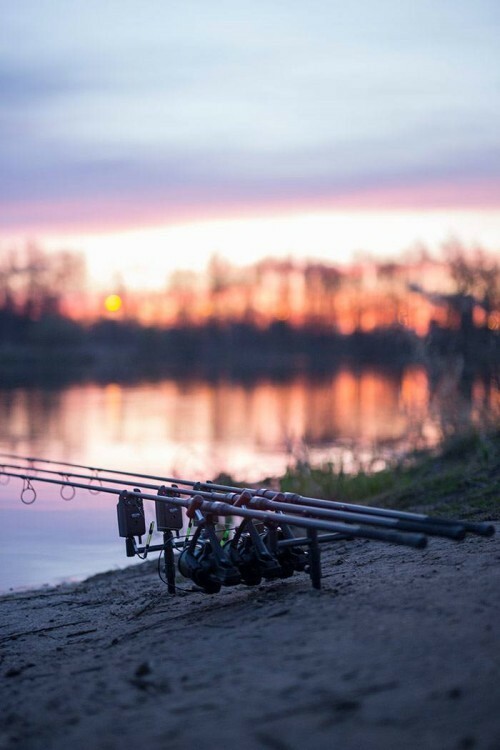 Two anglers, chosen by KWO (The Dutch Carp World Magazine), can write an independent review of the venues from The Carp Specialist. 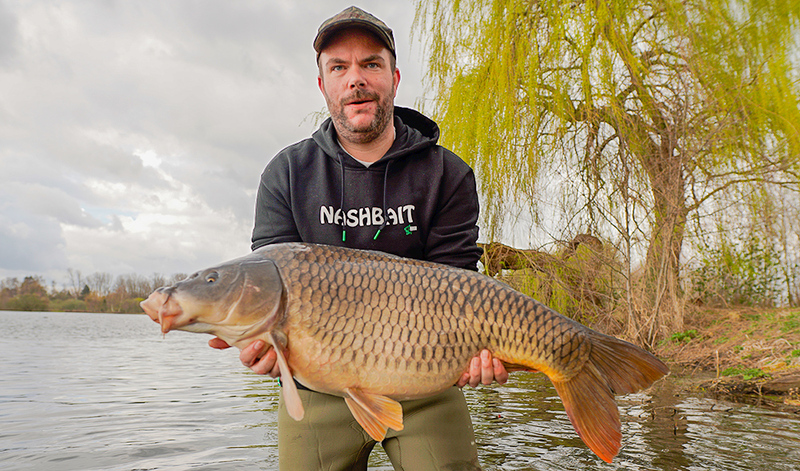 This time it was my turn to write one about this Belgium carp fishing venue, Timmy's Lake. 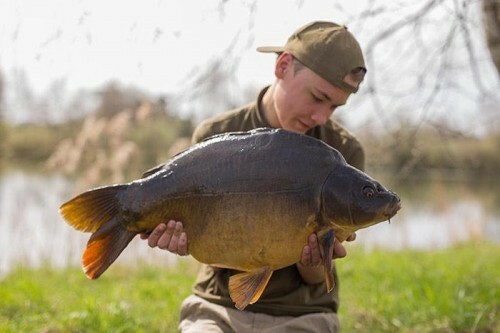 In this article I will give you my opinion about De Karperhoeve - Timmy's Lake and I will provide some tips to be successful at this venue. Luke: It all started at the beginning of April when I sent Lars a message to prepared our weekend trip. The upcoming weekend we will drive to Timmy’s Lake at the Belgium Karperhoeve, near Geel. A 2,5-hour drive from Calais. When we arrived, we were welcomed by Timmy, the owner of De Karperhoeve. After some instructions in the tavern, we went to our swim. We booked swim 6, so after we parked the car behind our swim we could start unpacking. You can drive with you're a car around the lake, so it is easy to get all your gear out there. The landing net, weights sling and unhooking matt will be provided by Timmy, you will need to pay a €50,- deposit. Also, you're obligated to bring Carp Care but you can also buy this on site. The first thing we did was finding some spots the first night. Swim 6 is a central swim on Timmy's Lake, and you can fish with 2 anglers. There are 8 swims in total, and each swim has a layer of gravel. You have enough space to set up camp and park your car along the road. The lake is near a highway, but with the cover of some trees, you still feel if you're peaceful in nature. 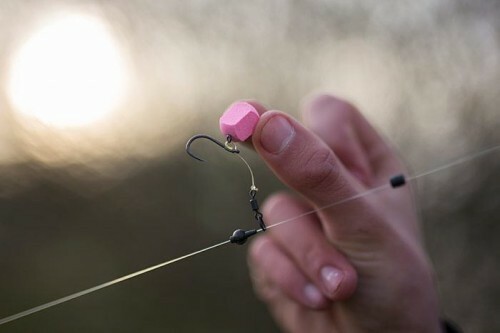 The main rig and Timmy advised us to use was the chod rig. We took out our favourite rig, plastic baits and maggots but also tried the chod rig. Timmy told us that the weeks before we arrived, other anglers fished with chods with great results. The night was falling really fast, so we decided to sleep after we make some video shots. We were hoping for a fish that night, our rods were placed perfectly so that won't be an excuse. In the morning we woke up by the sun but without a fish. 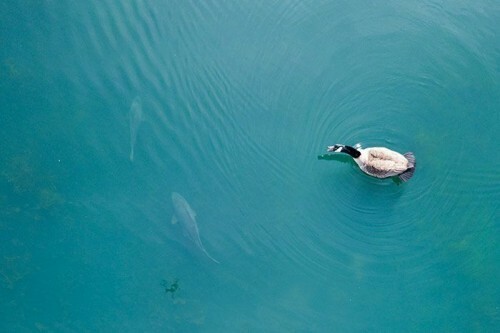 When we flew with the drone, we saw some fish on the other side of the lake. 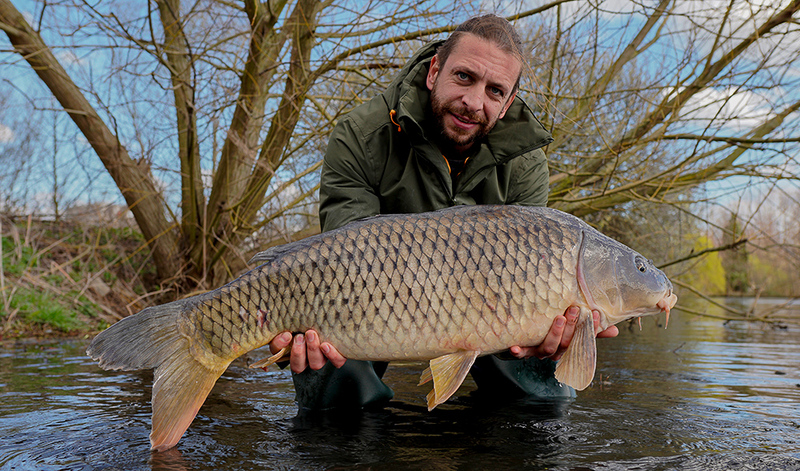 It was bizarre because the other anglers didn't catch a carp either, while all fish was located in their zone. After we shot some stunning drone shots, we found some new spots. A drone can be helpful to locate the fish during your trip. During the day we went to the tavern to have some lunch. 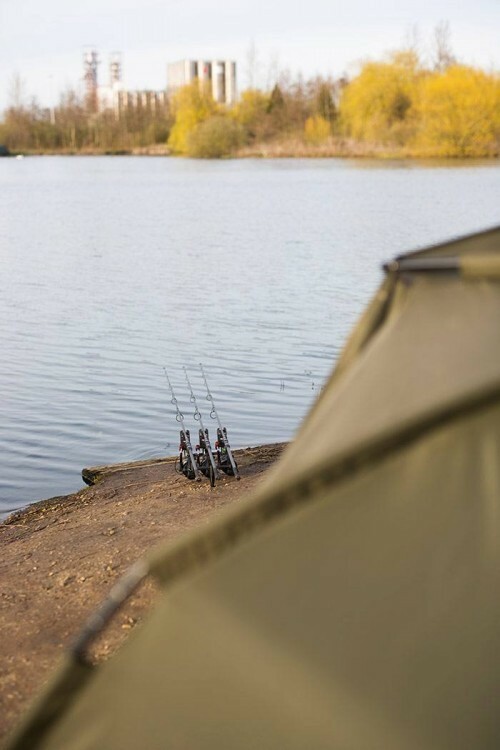 In the tavern, you will find a place to have dinner, a tackle shop with brands like Nash, Fox and Korda, showers, recharging point for all your electronic gear. The tavern of De Karperhoeve is a beautiful place hang around and to drink a coffee or cold Belgium beer. On the wall, you find a lot of pictures of the beautiful stock Timmy's Lake has to offer. 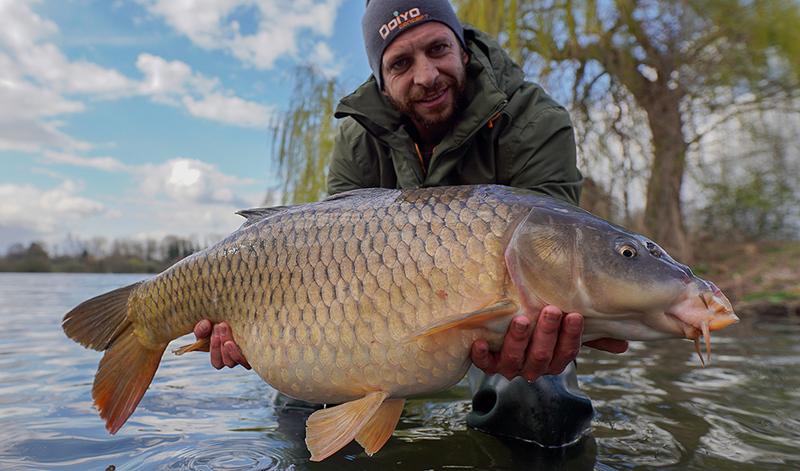 Inside the lake are approximately 300 carp, there are 100+/- 35lb carp, 7 45lb carp and 1 mirror carp over 55lb! 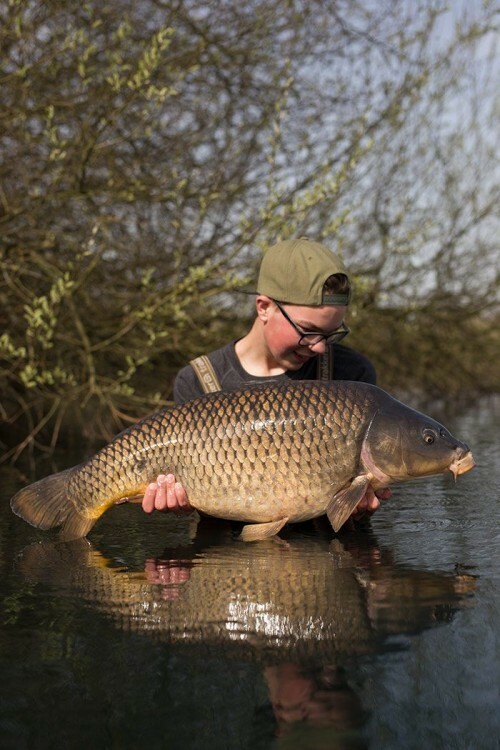 If you're looking at the pictures, you will see beautiful, nicely scaled old mirrors and common's. After we have chilled and have eaten something, it was time to real the rods in and throw them back out with new baits. When the rods are spot on we were hoping for a fish this night. The next morning our rods didn't move, and we were a little bit salty. "Every little thing gonna be all right"
The last morning the wind turned and was blowing to the east side of the lake, they carp were moving, and we hoped for a take. Short after the wind was turned, an angler on the other side caught 1 carp. Timmy came by and told us he spotted some fish in our section! 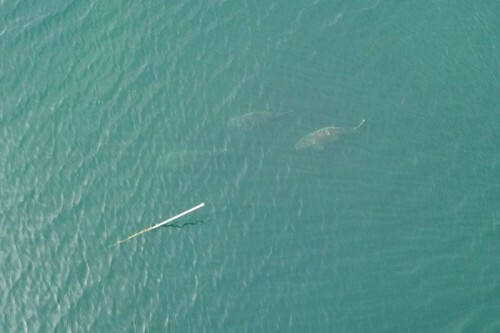 We took the drone and spotted a lot of carp in a sunny area near our rigs... Our rods were still silent, but within a minute my middle rod started screaming, After 2 nights without fish this was more than welcome! After a fight of 20 minutes, we managed to land the fish. It was a beautiful 30lb common. The fish was in perfect condition and a real beauty! A half-hour later, Lars, his rod started screaming. After a short fight, we also managed to land this fish. A short but massive mirror carp showed her colours, and with the second fish in 1 hour we were pleased! 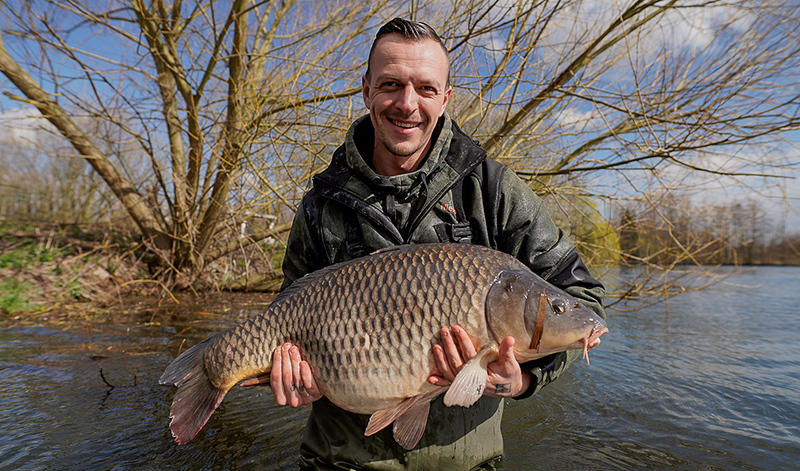 I would recommend Timmy's Lake to every carp angler who loves the English style of fishing. Fantastic service, excellent food/dinner service and a beautiful carp stock. We didn't catch that many carp but we have seen what fish are in here and they look amazing! Timmy is a very kind and honest man. He will help you in all possible ways, he knows Timmy's Lake like the back of his hand, and he is willing to tell all hotspots he know of. Don't be afraid to ask, Timmy will help you with anything. The carp stock is amazing! Not to many carp, but also not to less for the size of Timmy's lake. The fish we caught were in perfect condition. The facilities are great, and there are a lot of them. The Tavern is a great place to chill, talk, have a great meal, take a shower, and you can also buy something for your tackle box, in case you forgot something. Everything is in excellent conditions and well cleaned. The only thing we notified was the distance to the facilities for some swims in the back. This is quite a walk. In total there are 8 swims, perfect for Timmy's Lake because everybody has enough space to do his own thing. There is a floating line in the middle of the lake with floaters so the anglers on the other side won't be able to cross their fishing zone. On every swim there is a small layer of gravel so there won't be mud in your bivvy, there is also a garbage can for your garbage. Some swims have some holes, so they're not perfectly flat.